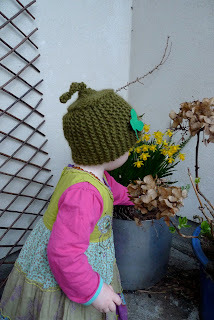 the fox and the mountain: St. Patrick's Day Seed Pod hat. 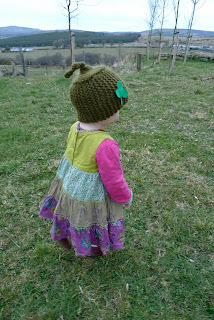 St. Patrick's Day Seed Pod hat. 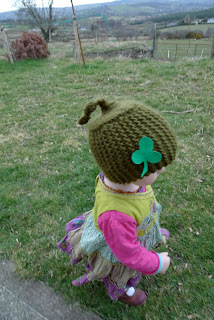 Some last minute crafting happened on the evening before St. Patrick's Day and in the few hours before the parade the next morning. 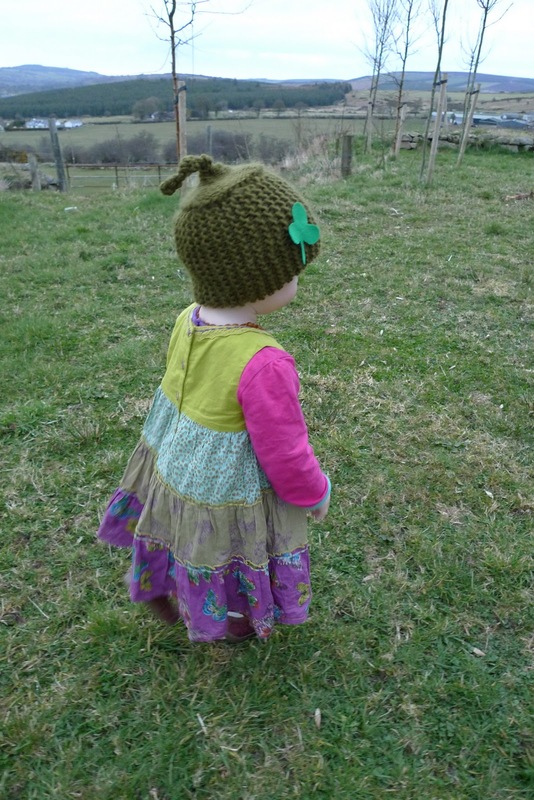 I had in mind a pixie type hat for Maisie....but it turned out more seed pod! I should have paid more attention whilst I was knitting and I should have jotted down the pattern as it popped into my head... but I do admit to having a lazy streak! This is roughly how it happened: First I knit a band, sewed it end to end, picked up some stitches then decreased quite quickly until I got to the 'stem' bit. Once I got down to three stitches I just kept knitting. My sister cut the shamrock from some felt and turned a Spring seed pod hat into the perfect St. Paddy's Day attire. And my little girl? Well she wore it pretty much all day, indoors and out, so I guess she liked it too!